2.Thanks to the Claygate Village Association (CVA) for their good grace, support and guidance, It was in fact a CVA event, led by the Claygate Lifestyle Experience team. 3 A special thank you, to Mike Hunter, who gave me guidance in working with, Elmbridge Borough Council to close the roads, obtaining the barriers and road closed signs, liaising with local residents, obtaining the PA system and a myriad of other things. 4.Thanks to Geoff Herbert ( Claygate Parish Councillor) of Claygate Parish Council and his volunteer marshal team, Graham, Dave, Charlie & Bernadette (The TCN team – see Youtube video below), George and Bertie (the young muscle duo) and Vanessa Relleen (CVA) for giving up their time and perhaps having the hardest job of all – dealing with some disgruntled motorists. 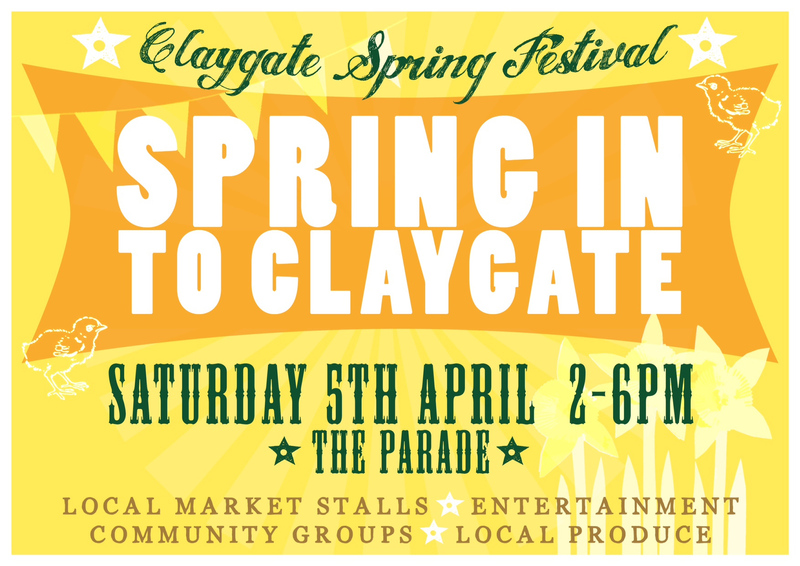 5.Thanks to our volunteer experienced First Aiders, Yvonne Hill-Charlwood (TCN), Kate Hone (SCC & EBC) and their team leader, Mary Marshal (Claygate Parish Councillor) who also helped run the CPC stall as well as handing out flyers for the Claygate Lifestyle Experience. 6 Thanks to the Mayor of Elmbridge, Mike Bennison, who opened the event and stayed for about 3 hours with the Lady Mayor, Mary. Mike as Surrey County Councillor for Hinchley Wood, Claygate and Oxshott also gave a contribution to the funding of the event. 7.Thanks to Mark Sugden (Claygate Parish Councillor) for giving us some valuable advice during the 6 week organising period and for running the CPC stall with Mary Marshal. 8.Thanks to Nigel Abbott of Claygate Cricket Club. Nigel was the Master of Ceremonies and he did a long stint creatively and humorously, as well as organising the model cricket match on Grosvenor Billinghurst’s lawn. 9.Thanks to Derek Huff for lending us the sound/PA system. 12.Thanks to the 20 traders who did something different on the day, such as running competitions, giving away goodies, and getting Alice Bear to come along. 13.Thanks to the other members of the Claygate Lifestyle Experience team (Simon Baile of ExCellar & Hannah Young of Ceramica) for their hard work and optimism and thanks to Simon Dunand of Grosvenor Billinghurst for help with promoting the event. 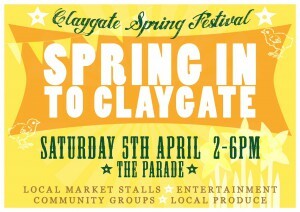 14.Lastly, a special thanks to the Claygate Villagers who came along to “Spring In to Claygate”. It was you who made the event worthwhile.